Scott is a native Oregonian who came to Columbia Gorge Community College (CGCC) from the Training Group of Intel University in Hillsboro, Oregon. 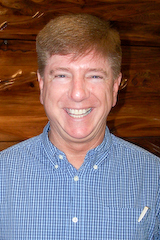 In that capacity, Scott enjoyed extensive travel as a Training Specialist for the company, specializing in Asia, training new employees and certifying Asian trainers. Scott enjoys his home in The Dalles and working in his yard. He still travels regularly to the Philippines and other Asian destinations as he can. Scott enjoys science fiction and other speculative fiction for his personal reading. He enjoys teaching writing at all levels, along with an occasional literature class.